THE City of Bacolod will hire 1,630 students for its summer jobs program with the support of the Special Program for the Employment Students (SPES) of the Department of Labor and Employment (Dole). 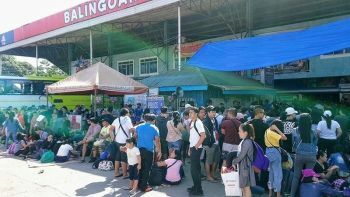 Maria Rebecca Balicas, head of Public Employment Services Office (PESO), said that 1,500 of the 1,630 “summer jobbers” will be under the direct employment of the City Government from April 15 to 26. They will receive at least P3,000 for 15 days of work. Balicas said the remaining 130 will work under Dole from April 15 to May 8 and 60 percent of their pay come from Dole and the other 40 percent will be paid by the City Government. Balicas noted that the application forms were already distributed to the 61 barangays. Last year, the City Government also hired 1,300 youth for the summer jobs program. Balicas said the summer jobbers will be assigned to assist in data gathering for the National Skills Registry. She said that this program aims to help the students in their school tuition for this year’s school opening.